After more than 20 years, the dispute settlement system (DSS) of the World Trade Organization (WTO) has proved its importance for developing countries. The DSS presents several improvements compared to other tools available in international law, such as the possibility to enforce its rules through retaliation. Rules are very important to regulate a fair play in international trade, but they must be enforced to achieve the expected outcomes. Although that rule-oriented DSS still faces challenges ahead, developing countries can use it to leverage bargaining power in negotiations. Since economic power matters for negotiations, developing countries facing asymmetry in WTO disputes need to seek alternatives to demand fair trade. Under an interdisciplinary perspective, this article aims at presenting how developing countries can use the DSS to overcome threats to their economies. 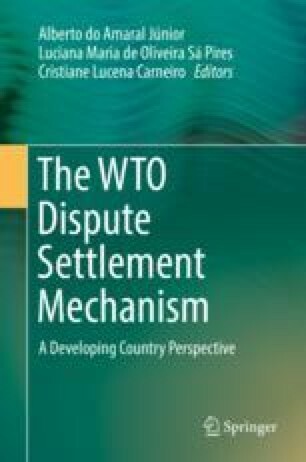 Such analysis considers the impact of the WTO rules and decisions on international negotiations.